Trick or Treat! You'll get a Treat! just keep reading. Do you like my kits and would like to have them for free? 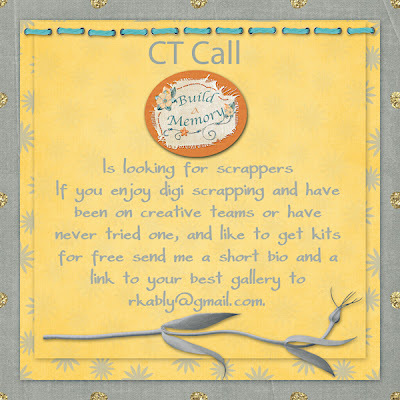 Are you a scrapper looking to be a part of a super fun Creative Team & digi-scrapping community? If you answered yes, then apply to be a member of Build a Memory team, by sending an email to rkably@gmail.com with a short bio about yourself and a link to one of your layout galleries. Be able to make a minimum 3 month commitment. Do 2 layouts OR 1 layout and 1 Quick Page or Freebie for each kit (about 2 kits per month). Post your layouts on your blog, the Stuff to Scrap gallery, and 2 other galleries of your choice. Enable a product a minimum of 1 time a month. Be active in the STS forum and post about misc. STS events on your blog. Leave love in my designer gallery here at STS per month. 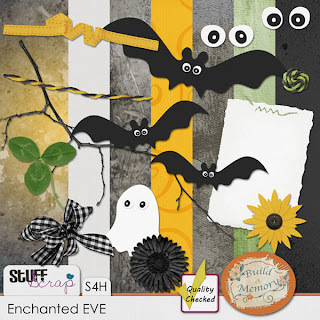 Most of the designers over at STS have put together a scary blog hop for you! Be sure not to miss any piece so you can get a wonderful Halloween Kit. It will only be available till November 3th so pick all the other parts fast. You're here--------> Build-a-Memory <---------- . 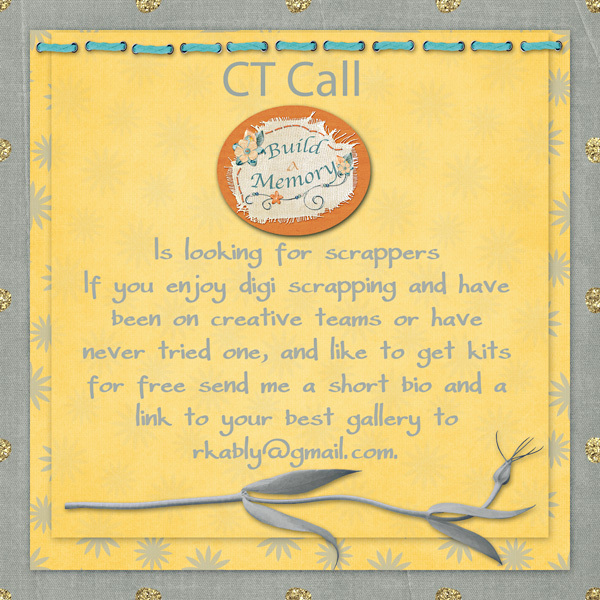 Next Stop---------> Queen Bee Scraps <---------- . Thank you for your part, it's super cute, love the bats. Thanks for the great mini kit! So cute! Thanks - and Happy Halloween! Like your grouping of bats, thanks for the kit. Cute spooky eyes and color twist. Thanks for sharing your designs. Thank you so much!!!! Happy Halloween!!!!! !